At Dr. Wakefield’s Cambridge, OH dental office, we love to see patients’ health and confidence improve under our care. Our entire staff is committed to creating an environment where patients feel at-home. 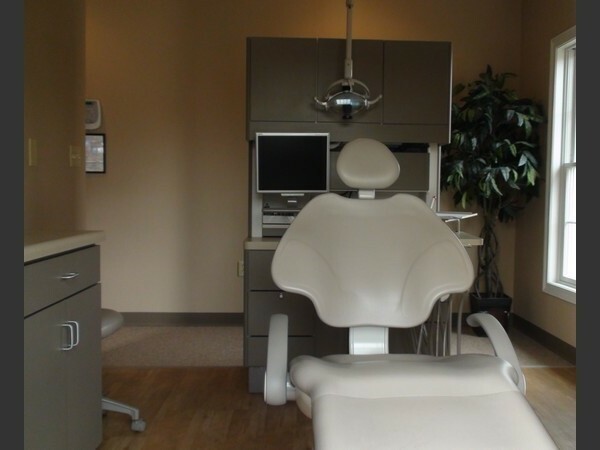 We use a kind chair-side manner that even the most nervous dental patients find soothing. We welcome patients of all ages to experience the difference at our office. To learn more, we encourage you to browse our website or call us today to speak with a member of our team. We are invested in your oral health, and it shows; our services are comprehensive and backed by a friendly staff that takes time to get to know patients and provides the compassionate care they need. Your smile is our success and we support both with thorough, gentle dentistry. Whether you’re new to our Cambridge dental office or a returning patient, you can expect your appointment to be detailed and timely. All recommended procedures are explained in detail so you are completely up-to-speed with your health plan. This thorough approach is especially helpful for nervous patients who feel uneasy about the unknown. You will leave our office feeling confident and at-ease. Ensuring your comfort is one of our top priorities. Dr. Wakefield’s team makes every effort to provide efficient care when you need it most, whether for a quick filling or for adjustments to dental devices, such as dentures and partials. Our team children as young as three, as well as adults of all ages. We are aware of how important it is to create a great first impression, so we use kid-friendly terms and refer to ourselves not as dentists but as the tooth fairy. We help children learn about their smiles and how to care for them as they grow. Dr. Wakefield and her team provide children with the opportunity to familiarize themselves with the dental office environment, so they become confident patients well into adulthood. Your child’s visit will also include time for you, the parent, to sit with Dr. Wakefield and discuss instructions for proper oral hygiene and other important dental issues. In caring for kids, we are focused on kindness and gentleness; your child will love spending time with our team. Visit our Cambridge Dental Office Today! Dr. Wakefield accepts new patients, whether you are interested in family dentistry, senior dental care, or you’re looking for a consultation on aesthetic dentistry or orthodontics. We look forward to serving you and helping you enjoy a bright new smile!